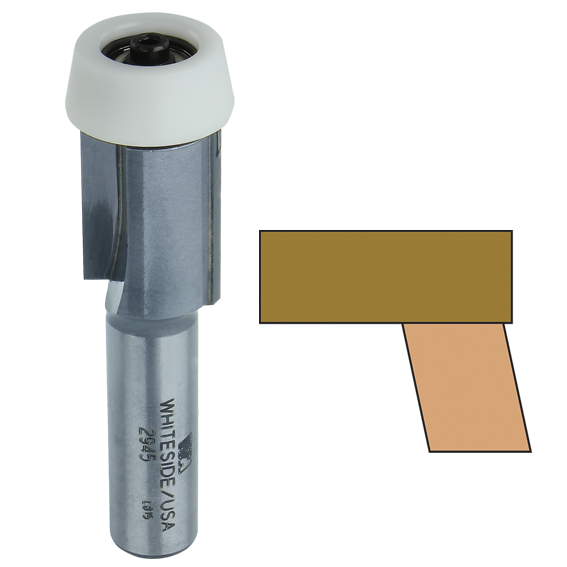 Used for sink installations, this Overhang Bowl Trim Bit has a no-mar bearing and works with materials from 1/2" to 3/4" thick. Double wing. Carbide tipped. Whiteside Machine Company - Claremont, North Carolina.